Honey was the most commonly used sweetener for centuries. The shift from skep-based extraction (which required the killing of bees), to the use of modern hives was a crucial step in the history of the honeymaking process. 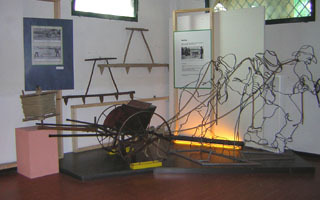 Following a period of experimentation in the 1800s, the cultivation of sugar beets spread throughout the Po Valley in the early 1900s, supporting the development of a dense network of production facilities.